A 94-year-old man was left with serious injuries last night when his mobility scooter was in a collision with a car. The collision, on the A259 at Chidham near Chichester, happened about 7.10pm yesterday, according to police. The injured man, from Bosham, was taken to St Richard’s Hospital, Chichester, and detained overnight. His injuries were not thought to be life-threatening. 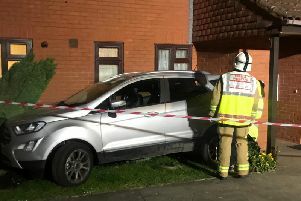 The car involved, a red Ford Fiesta, was driven by a 70-year-old man from Emsworth. He was unhurt. Anyone who saw the collision is asked to email collision.appeal@sussex.pnn.police.uk or phone 101, quoting Operation Southampton.